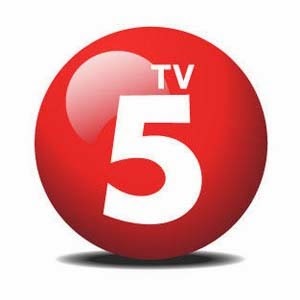 TV5 Kapatid Network is making name not only in the local television channel but also in world wide web. That's why, TV5 live streaming online video is now available for all fellow Filipino and other viewers who are now outside the country. You can visit their website at tv5.com.ph (TV5 official portal website) or simply watch it online below. The video is not intended to be copyrighted it is only embed here to be shared. See my Disclaimer at the footer section before you watch the video. For the meantime, please bookmark this page now or visit this site more often for you to be updated. You may also share this post to your friends so they may know about TV5 Kapatid Live Streaming Video. Comments or suggestions about "WATCH TV5 Kapatid Live Streaming Online Video" is important to us, you may share it by using the comment box below.